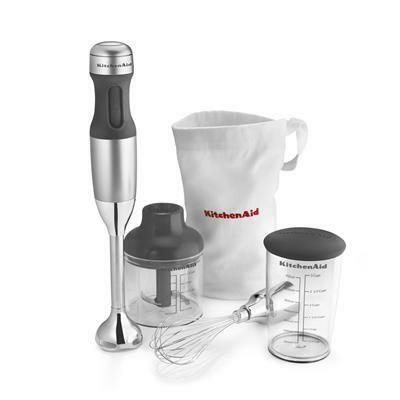 The KitchenAid® 5-Speed Hand Blender is one countertop appliance with limitless options and versatility. The 8-inch blending arm reaches perfectly into deeper pots. The Industry's First Interchangeable Bell Blade Assemblies can be easily changed with no tools required; Simply twist off and on to switch from one bell blade assembly to another. 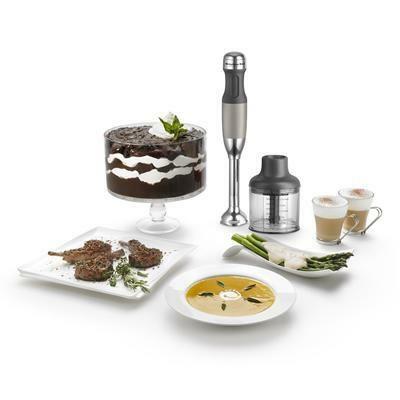 The S-blade is ideal for blending, the multi-purpose blade crushes ice and the frother/beater blade froths milk. Also included, a whisk and chopper attachment for even greater versatility. 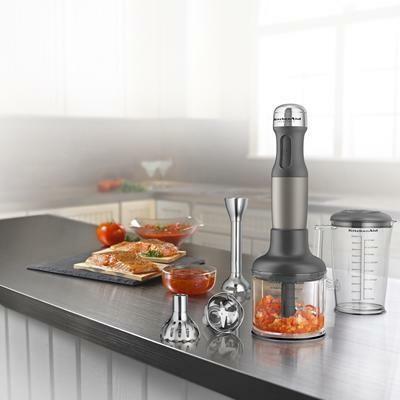 Additional Features The premium stainless steel blending attachment reaches an 8" (20.3cm) immersion depth. 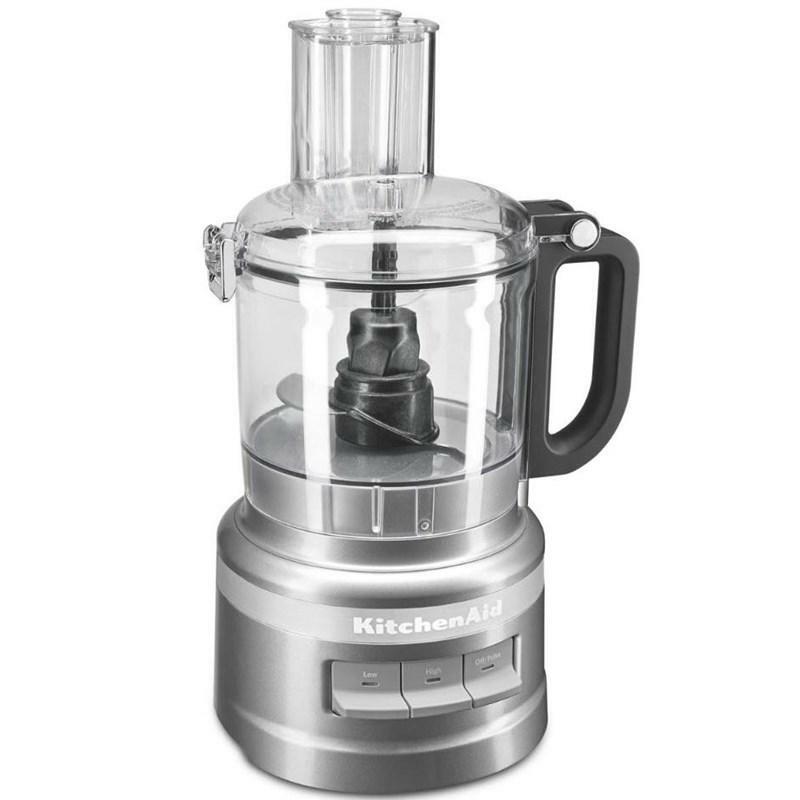 The stainless steel splashguard covers the blending blade to prevent splattering of ingredients. 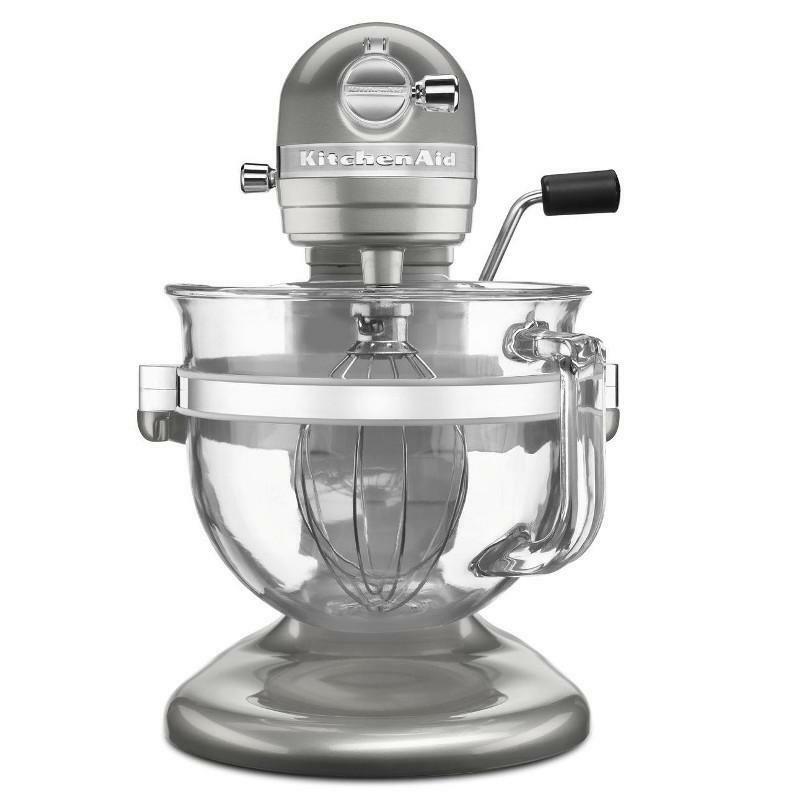 The stainless steel whisk maximizes air in mixtures for fluffier egg whites and whipped cream. 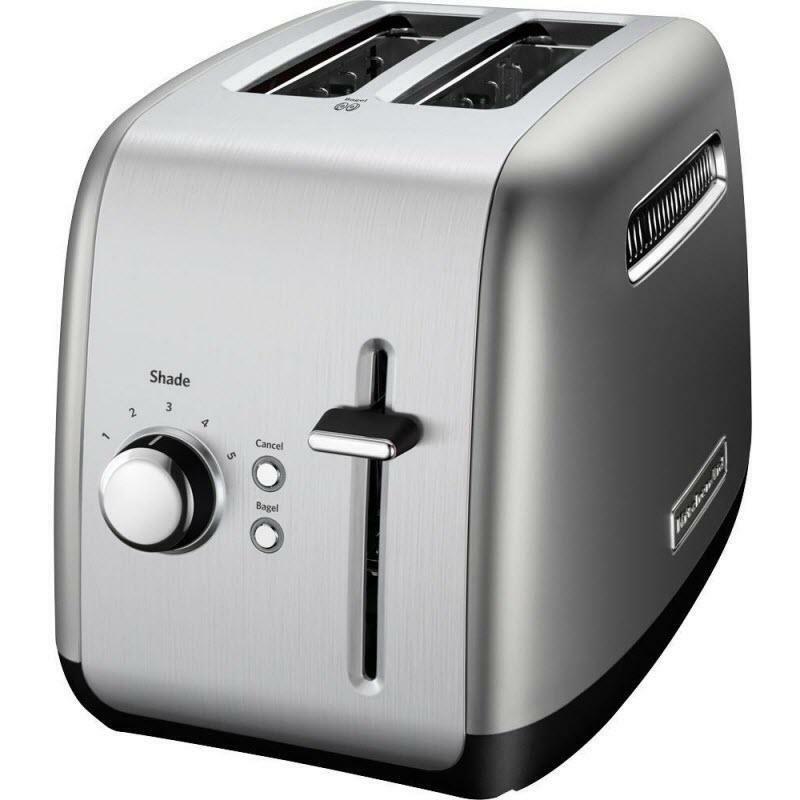 Variable speeds provide greater processing control that adjusts to handle a variety of foods, beverages and soups. 5 ft Power Cord. BPA-free Blending Jar Material. S Blade. Quiet, Powerful DC Motor. Easy Clean Up. Clean and Store. Hand Blender. Twist Lock Blending Arm. 8" (20.3 cm) Removable Stainless Steel Blending Arm. Included Whisk Attachment. Storage Case. S-Blade. Multi-Purpose. Frother/Beater. Pan Guard. Bell Guard. Chopper Attachment. Blending Pitcher.